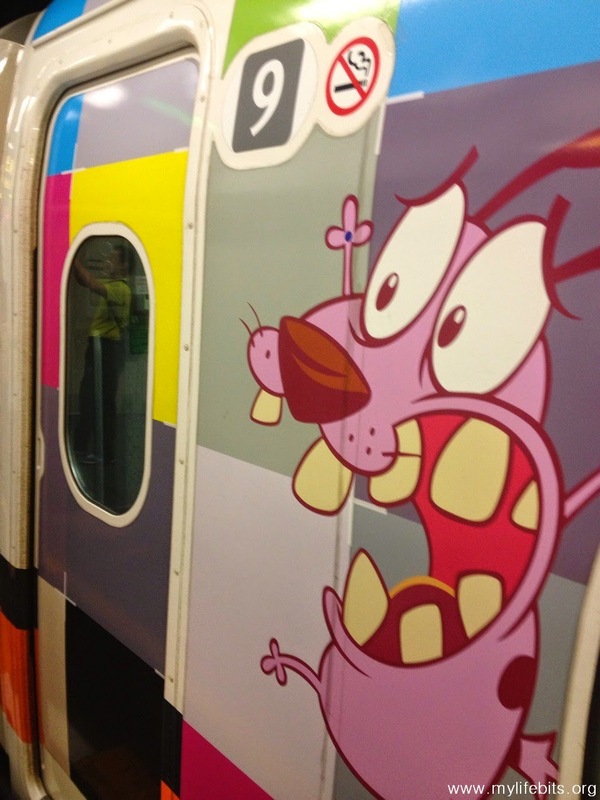 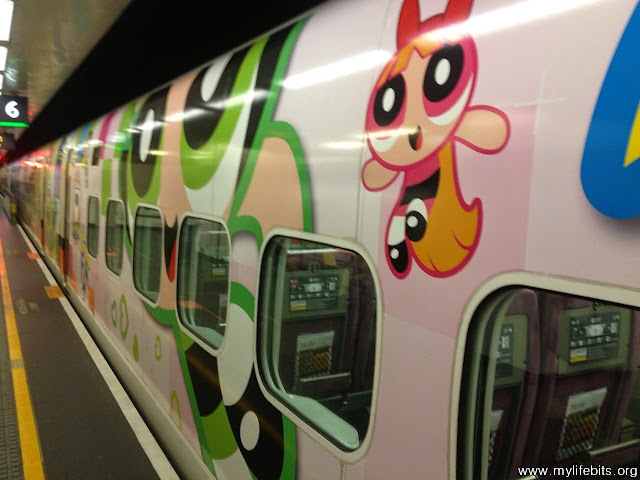 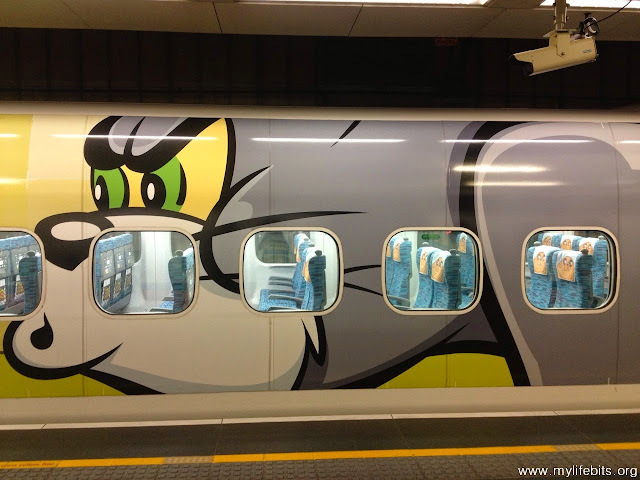 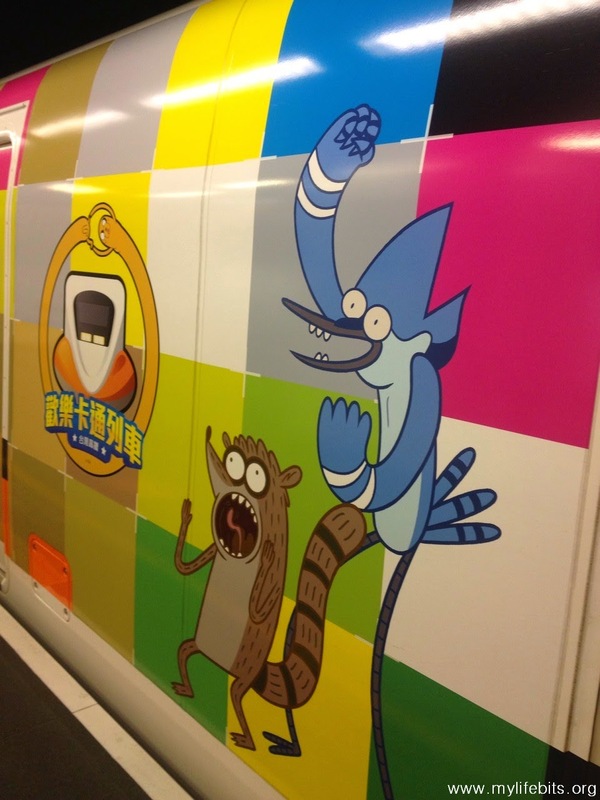 Taiwan High Speed Rail turned the latest THSR 700T train into the world's first Cartoon Network theme train. 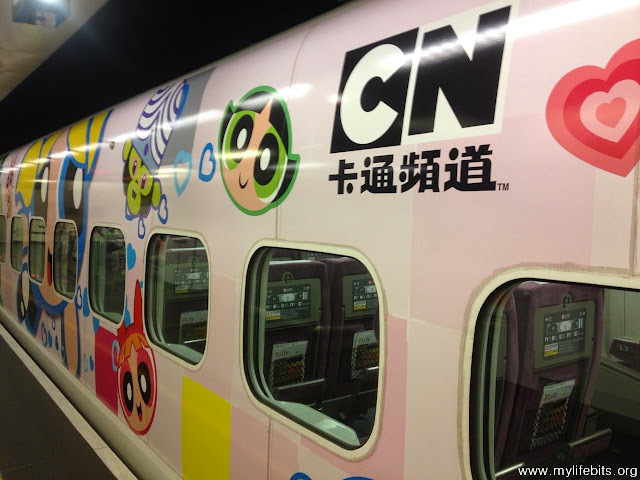 In collaboration with Cartoon Network, everything from exterior to interior is decorated with children's favorite characters from series including Adventure Time, The Amazing World of Gumball, Oggy and the Cockroaches, Ben 10 and The Powerpuff Girls. 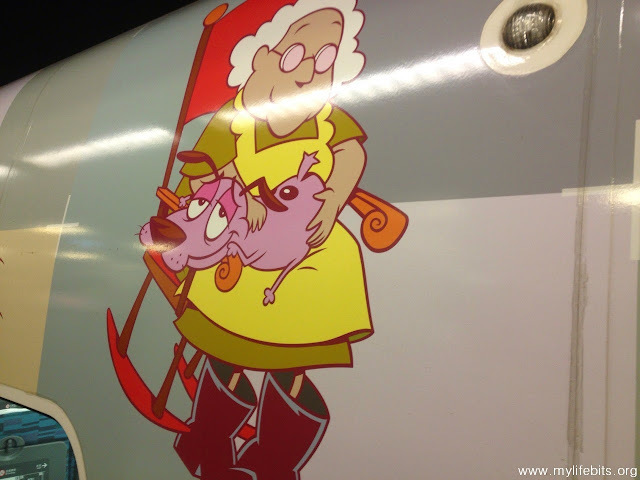 Jake the dog also features on an on-board post-box, and passengers are encouraged to mail postcards to their friends and families onboard. 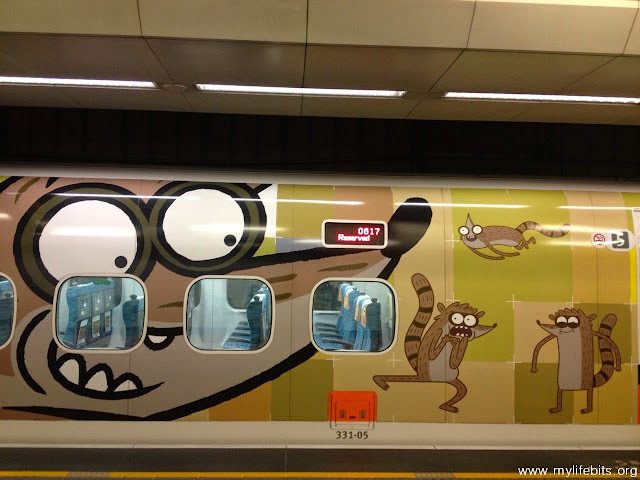 Also, the new 700T train has several family-oriented features, including the new ergonomic seat design, larger dining table with cup holder, power socket, and a new in-train nursing room, to make the whole journey experience more pleasant and enjoyable.